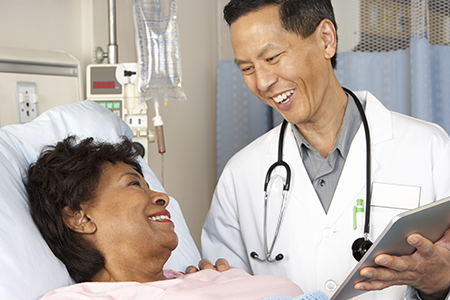 Ovarian Cancer is treated within GWCC’s Gynecological Oncology Program. Ovarian cancer is a type of cancer that begins in the ovaries. Women have two ovaries, one on each side of the uterus. The ovaries — each about the size of an almond — produce eggs (ova) as well as the hormones estrogen and progesterone.